As Netflix is taking the cinema industry by storm across the world, it cannot take over Vietnam, despite being launched for three years. As of last October, the total number of Netflix subscribers in Vietnam was only 300,000, a minuscule amount compared to the country’s population of more than 90 million. The popularity of cash payments is the main reason behind the languid interest in Netflix among Vietnamese people. Accordingly, similar to other countries, Netflix also requires local people to pay fees via internationally-accepted credit or debit cards, which currently account for a tiny portion of total transactions in Vietnam. Statistics published by World Bank in the middle of 2018 stated that non-cash payments only made up 4.9 per cent of the payments mix in Vietnam, much lower than China’s 26.1 per cent, Thailand’s 59.7 per cent, and Malaysia’s 89.7 per cent. According to Dao Minh Tuan, deputy governor of Vietcombank and chairman of the Vietnam Bank Card Association, 40 per cent of Vietnamese people have bank cards, but 90 per cent of them choose cash for their daily transactions. In addition, the popularity of websites illegally streaming movies remains a big obstacle for Netflix in Vietnam. 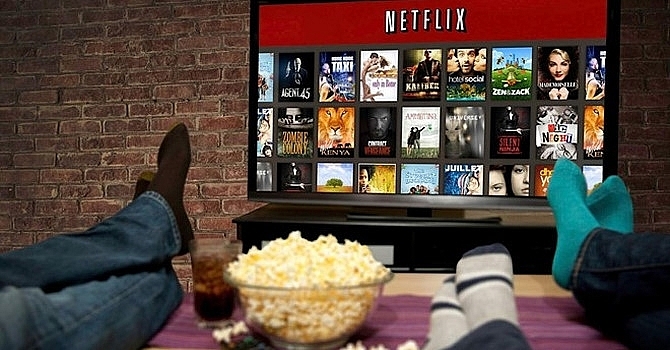 The majority of young people are used to watching movies and TV shows for free on websites – it does not help that the resolution of most of these movies is no different from Netflix and other authenticated movie applications. According to data published at the workshop on protecting the copyright of television content in August 2017, the total number of visitors of illegal movie streaming websites in the 2017’s first half was 236 million, 29-times higher than the total visitor number of authenticated websites. Thus, most customers choose not to pay hundreds of thousands of VND per month for a service that is not much different from free websites in terms of quality and selection. As a result, Netflix’s business growth in Vietnam rides on the local government and the initiative to deal with illegal streaming websites violating the copyrights of movies and television series.